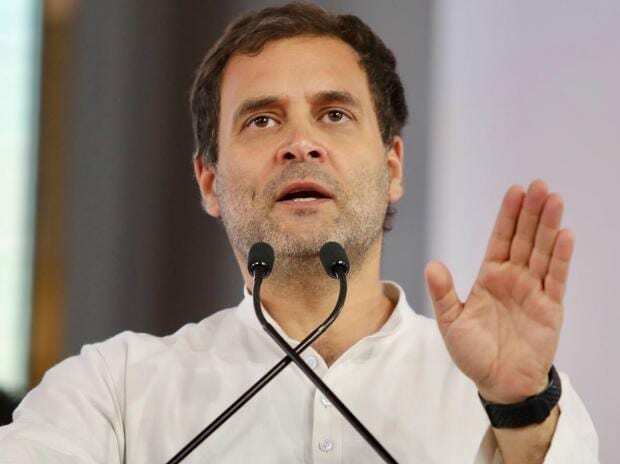 The Congress should come up with calculations to fulfil its President Rahul Gandhi’s promise of providing Rs 6,000 to 50 million families a month under the Nyuntam Aay Yojana (NYAY), according to economists. They said identifying the beneficiaries would create problems. Gandhi had on Monday announced the Congress, if it came to power after the Lok Sabha polls, would ensure a flat Rs 72,000 per year to 250 million people. This means an additional expenditure of Rs 3.5 trillion, which constitutes almost 1.9 per cent of the country’s gross domestic product (GDP). The party said its promise was doable. Former principal economic advisor to the government Ila Patnaik told Business Standard the Congress should make it clear as to how it would implement the scheme. “Where will the money come from? Will the taxes be raised or subsidies cut?” she asked. Major subsidies, comprising those on food, fertiliser and petroleum, are projected to stand at Rs 2.66 trillion in the current financial year and Rs 2.96 trillion in FY20, according to Budget documents. That said, it is a welcome idea, according to Desai. “At 1.9 per cent of GDP, it could be affordable but what is being given up? There should be a shadow budget showing how the rest of the public expenditure is to be met,” the economist said. Households are assumed to be of five members each, but this may not be valid, he said, adding small families would get more than large ones. “If it is ₹6,000 per month to a household there is an incentive to break up the household into two to get double the money. Even if this is not done, large families are disadvantaged so their poverty is not alleviated,” he pointed out. He said a better way would be to ask by how much the allowance moved the income of an individual below the poverty line to $2 a day (₹140) — the World Bank poverty line. Former NITI Aayog vice chairman Arvind Panagariya said it was not possible to get up the vast sum without damaging fiscal consolidation or cutting many subsidies. He said across the political spectrum this idea of cash transfers seemed to have caught on. Indira Rajaraman, former member of the RBI's central board, said the NYAY was a return to the pre-MGNREGA external targeting. “The great advantage of the MNREGA design was self-targeting. A return to external targeting will carry all the usual problems of wrongful inclusion and wrongful exclusion,” she said. A committee of party leaders, which included Manmohan Singh and P Chidambaram, has calculated the basic living income each family needs to survive is Rs 12,000 a month. If one takes into account the poverty line calculated by C Rangarajan in 2011-12, the last one calculated in India, it comes to Rs 10,301 a family a month in urban areas and Rs 7,410 for rural areas for 2018-19 (till February, 2019) after providing for consumer price-index based inflation rates. Rangarajan had calculated the poverty line at Rs 1,407 a person a month which came to Rs 7,035 a family per month in urban areas and Rs 972 a person a month or Rs 4,860 a family in 2011-12. Chidambaram tweeted -- "We have consulted economists, this (NYAY) is doable, and we will adhere to fiscal discipline." The Congress does not intend to implement it as soon as it comes to power, that is if it does, on May 23, 2019. Experts in the party, including Singh and Chidambaram, who were helped by its data analytics chief Praveen Chakravarty in putting together the scheme, have proposed a new committee that would be constituted to steer the implementation of the scheme. It is likely that former chief economic adviser Arvind Subramanian could head such a committee. Subramanian, as Chakravarty has acknowledged in his interviews, is closely involved in helping Congress with the details of the scheme. In the 2016-17 Economic Survey, Subramanian had proposed a basic income for the poor. Congress has proposed NYAY as a ‘federal scheme’, possibly 60 per cent given by the Centre and 40 per cent by respective states. The Congress on its own, or along with smaller parties, currently runs governments only in Punjab, Rajasthan, Madhya Pradesh, Chhattisgarh, Karnataka and Puducherry. It could ensure implementing the scheme only in these states in the first phase, and those other states ruled by its allies at the Centre. It could take up the BJP ruled states in the last phase, or promise the scheme closer to their respective Assembly polls, particularly Uttar Pradesh, which is scheduled for polls in 2022, and where the Congress wants to regain its lost ground.